Data, the word is as omnipresent as the grass is. The recent report of IBM puts a seal of confirmation over it. It revealed that around 2.5 quintillion bytes data are being generated in a day. Isn’t this huge? While the accessibility to the data is not an arduous task, the hold of viable data is. This is where a Database Administrators comes into the picture. Seeing the worth of viable data is a business, and it’s the cause the exigency of Database Administrator is on the rise. Database Administrator is the skilled professional who puts the available database and a company’s need in line with each other. He is the one who ensure that each day should be regulated, refined, and execute correctly and promptly. The responsibility of safe and secure transmission of the data is also on his shoulders. Why should you become a Database Administrator? If we pay little heed to a report presented by The U.S. Bureau of Labor Statistics (BLS), we will get to know the career prospects of this profile. In the report, the bureau has predicted that there will be a growth of 11% in the demand of these skilled professionals during the 2014-2024. It further gives us the insight of how much a Database Administrator makes. As per the report, in 2016, the median pay for a Database Administrator was $84,950 per year and $40.84 per hour. I guess the figures say all. Oracle’s 12C OCP DBA course and certification is definitely the best choice an aspirant could make. The course harnesses your database-related skills and opens a plethora of career options in DB industry. If you are willing to go in the DB security administrator field, 11g Security DBA will suit your resume the best. Check out some most DBA certifications here. From beginners to advanced professionals, SQL is a career-inclined technological area for everyone. Business analytics, Warehousing, Database modeling, optimization, Infrastructure management and DB Development are some DBA-related segments where an SQL Certification (as per the interest and job role) is a must have. You can pick the right certification from this list. How can you become a Database Administrator? A bachelor’s degree with Management information systems, computer science, or a related field a specialization. Minimum of 1 to 5 years of work experience. A set of skills like Analytical, decision-making, operations analysis, critical thinking, and logical –thinking. Proficiency in MySQL or Access or Oracle. A Bachelor’s degree with a specialization in subjects like Management information system, computer science, and various others inter-related field is the basic requirement to start your career as a Database Administrator. One should opt for modules like web page applications, discrete structures, data structure and mining, database systems and databases and distributed systems as they well instill the thorough knowledge of the mechanism behind the Database management. Once you are finished with your bachelors’ degree start working as database developers or data analysts. These are the entry level profiles. This is the right time to have a practical knowledge of the theoretical concept. Utilize it to the most and learn as much as you can. The entry-level profiles will help you to have a better understanding of concepts and principles but the Database Administrator profile demands much more than that. You need to update your skills. You should polish your skills with certification courses, like Oracle Database, Microsoft SQL Server Database, MySQL Database, SQL certification, and DBA Certification from a certified company like Koenig solutions. These industry certifications will make you stand out of crowd and give the most desired hunch to reach the pinnacle of your career. Once you have the right set of skills, keep on working and learning. Once you complete successful 5 years in the field of Database, you have the highest probability to hire as a Database Administrator. There are numerous career prospects available for the Database Administrator. 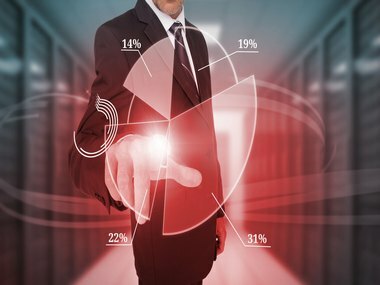 Though the need of a skilled Database Administrator exits in every field, the IT and computer industry needs them the most. They exit in almost every mid-rank system, work-stations and large work frames. Other than that, sectors like education, banking, data processing also requires their worthy assistance.